Sleek Makeup’s newest eye palette launches this week on the 25th March and you better make sure you grab it quick as this one is a limited edition summer eyeshadow palette. The Del Mar Vol II follows on funnily enough from Vol I, little bit like a CD collection and as you would expect from the name the colours are very Ibiza inspired. Each colour has a unique Ibiza inspired name such as the San Antonio vibrant orange, the Ibiza Rocks yellow and the Ocean Beach turquoise green which is probably my favourite from the palette. 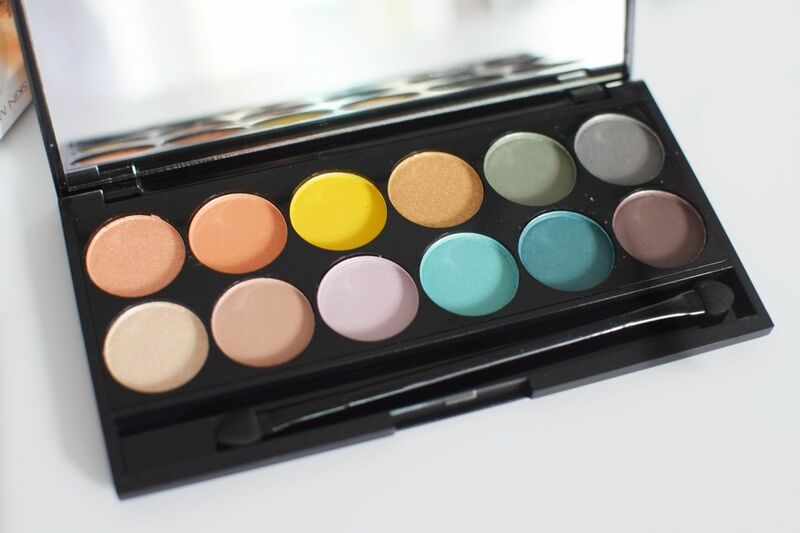 The 12 eyeshadows are a mixture of matte shades and shimmers and come with an applicator brush. These are great for a Ibiza inspired summer look. Anyone else getting holiday fever right now!? So with that in mind the Del Mar palette has inspired me and I’ve put together an Ibiza look with bright coloured eyes and coral lips and cheeks. 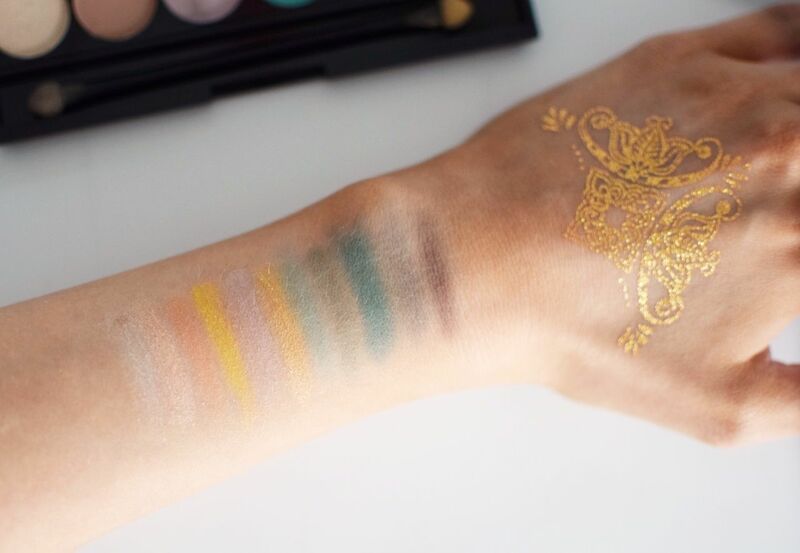 Oh and a peek at these awesome gold temporary tattoos from Seekers of the Sun that I just know you will love! 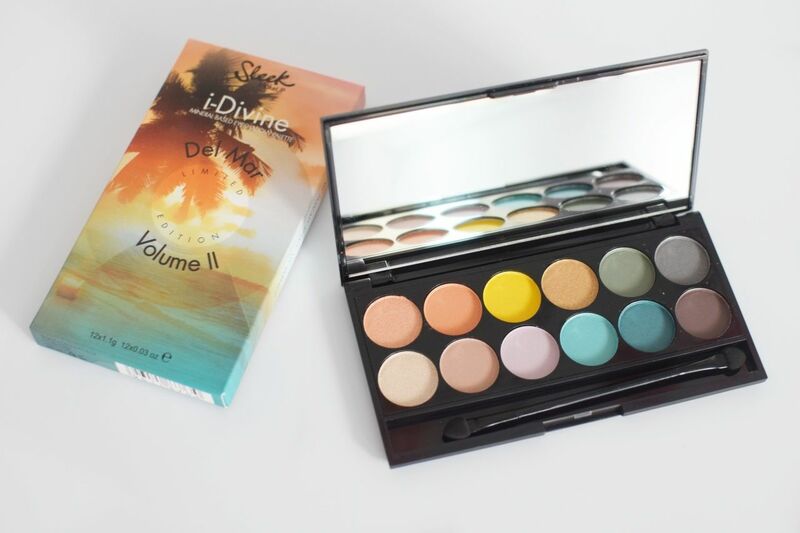 The NEW Sleek Limited Edition Del Mar Volume II i-Divine palette launches Wednesday 25th and is priced at £7.99 from Boots or Superdrug. This is really pretty and so reasonably priced. Beautiful soft, summery colours. I have some Sleek palettes too and I love them. Even tho they come in a cheap price they work like magic.